The market factors had an impact on prices, despite the fact that, according to the study, all transport companies worked mainly on long — term contracts for one-time ratesestablished separately for each order, accounted for slightly more than 10% of all transactions. The overall market in 2018 remained in positive territory — more than half of the surveyed companies for the year increased by 10% or more. Among the risks in 2018 they are laid mainly the lack of offers of transport or professional drivers, and increased cargo volume. In the rest of the market dynamics and price was within expectations of the market players: for example, the immutability of tariffs say 41% of respondents, 26% were forced to raise prices by more than 10% and only 1% — 20% or more. Probably massively used the scheme long-term rates with a small flow component has allowed companies to offset their costs, avoiding the global rise in prices and shocks to consumers. In addition, the popular market and compensation mechanisms of the dynamics of fuel prices at the conclusion of contracts on transportation: the agreement pre-negotiated limit growth in the cost of fuel at which there is a necessity of revision of tariffs. The increases in prices for freight services affects the cost of products on store shelves. Head of logistics Department “Ruscam Glass containers holding” Mikhail Kravtsov notes that in the course of goods production there are many stages where transport costs affect value added, ranging from raw material supply and production logistics, finishing misclassi movements and final delivery to the consumer. It should be said that any collapse in the market of finished goods related to the lack of raw materials for their production in certain regions, will increase the logistics of the shoulder and increase the cost of transportation to the consignee, and the increase in the selling price. Amid all these factors, recipients of services of carriers, including commercial networks and producers of goods can also lay new costs in their prices, which will lead to another rise in the cost of products on the shelves. The growth of prices of transport services affects the prices of drugs. The effect probably won’t apply only to drugs that are included in the list of vital and important — the prices are regulated by the state. Head of procurement and logistics services SIBUR Roman Evseev notes that the higher logistics costs in the cost of goods produced in one region and consumed in another geography. These categories include fruits and vegetables non-local production. The most sensitive to growth of logistics costs, food, FMCG (consumer goods with a rapid turnover on the market) and construction materials, while the least growth of tariffs of carriers affecting luxury goods, he continues, such as electronics and appliances. To a greater extent the higher cost of services carriers will be reflected in the prices of goods of daily demand, where the transport component is more significant, says a national transport logistics Manager “group of Cherkizovo” Mr Diener, adding that the main drivers of growth of cost of transport services in the next year, as well as in 2018, will increase fuel prices and insufficient supply in the transport market. So many companies when selecting transport service providers will give priority to large carriers, capable of providing stable volumes provision of transport on the basis of long-term contracts. Note that, according to Rosstat, food products in 2018 rose by 4.7 per cent in the overall inflation rate of 4.3%. While food inflation has significantly accelerated over the 2017 year when it amounted to only 1.1%. Gasoline over the past year have risen by 9.4%. In 2019, the surveyed logistics companies do not expect a significant increase in tariffs, but at the same time, a growing percentage of companies predicting an increase in prices by more than 20%: if in 2017, none of the companies such forecasts were not given, but now they have 5%. In addition, a large percentage of respondents undecided on investment plans, which once again tells us about the instability of the market. The main factors of influence on the price dynamics of service carriers, according to the survey, will be the economic situation and rising fuel prices. Partially latest anticipated including due to the announced plans to increase excise duty on diesel and petrol from January 1, 2019 2.7 thousand and 3.7 thousand rubles, respectively. In addition, freezing retail and wholesale fuel prices in early 2019 provokes the oil companies earn in other ways, including corporate clients from transport companies. The Association of transportation and logistics, industrial and trading companies, according to the newspaper “Kommersant”, has already warned Prime Minister Dmitry Medvedev about the consequences of such a step: price of freight forwarding services could grow by 10%, and it will directly affect the cost of products for consumers. So, the selling prices of Russian products is only due to this may increase by 1-8% depending on the category. Respondents among logistic companies, and pointed out the effect on the rates of the VAT increase from 2019 from 18% to 20%. This tax is passed directly on to consumers. Although socially important goods, in particular meat, vegetables, cereals, products for baby food and medicines, the VAT rate will not increase and will remain at 10%, almost for any product is affected by the fuel price, mainly due to the growth of the shipping costs. But there are not such obvious factors of price increases, in particular, that expectation changes of regulation for the industry. In 2018, for example, the growth of costs, and therefore prices for consumers affected by the cancellation at the beginning of the 2018 tax privileges on movable property, which previously extended to shippers. Indirect impact on the market also have a permanent increase in the number of toll roads and the increase in prices for imported machinery and spare parts. In addition, from the beginning of next year will increase rates “Plato” — the costs amount to 5% in the cost structure of transport companies. The increase fares on the route will inevitably be shifted by the carriers to cargo owners and the value of the goods to the final customer. Overall, although the increase in fuel prices and other factors that we pointed out above, are indirect risk of increased cost for consumer goods, owners (commercial and industrial companies) are not able to completely shift their costs to the consumer in conditions of declining consumer purchasing power. This can be seen by the end of 2018, when, despite the positive trend of logistics costs, growth rates were mainly insignificant. This picture we can see due to the presence of competition and optimization opportunities on the market for the carriage of goods. Thus, to contain and minimize the growth of the logistics of tariffs and, accordingly, the prices of goods, really. To do this, the owners should improve business processes, including through automation. 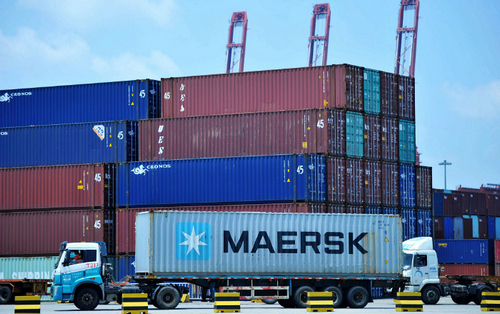 The use of technology allows cargo owners to reduce costs on transportation, search and ordering of transport from carriers, the route network which meets the needs of the shipper, that is the carriers ‘ routes are looped, the machine will not go one way with cargo and the other is empty, will be minimized idle run. Reduce idle time of transport during loading operations is also possible due to the joint resource planning and queue management. In such circumstances, even a noticeable jump in fuel prices will be offset by the ultimate cost to the consumer.